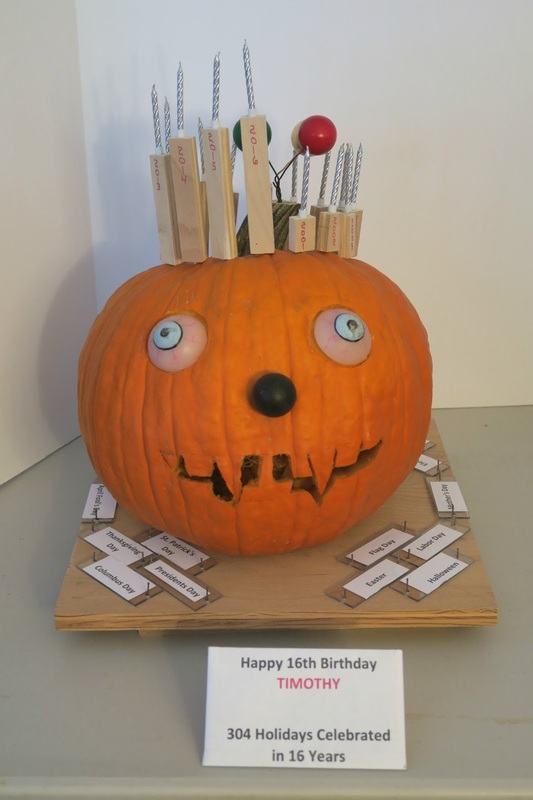 Our family's annual pumpkin party was on Saturday, the same day as my nephew Timothy's 16th birthday. 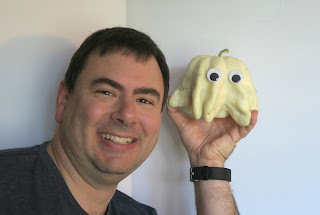 I'm dying to share the birthday gift I made him, but that will have to wait because today I'm sharing pumpkins! This year, the theme was Holidays. 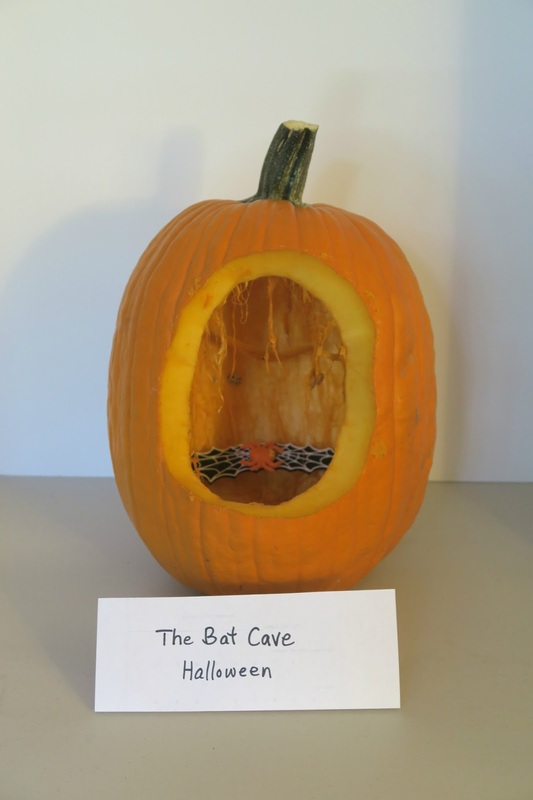 Each entry was scored on carving, creativity and theme. 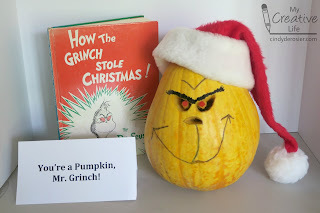 I chose Christmas as my holiday and turned a pumpkin into the Grinch. 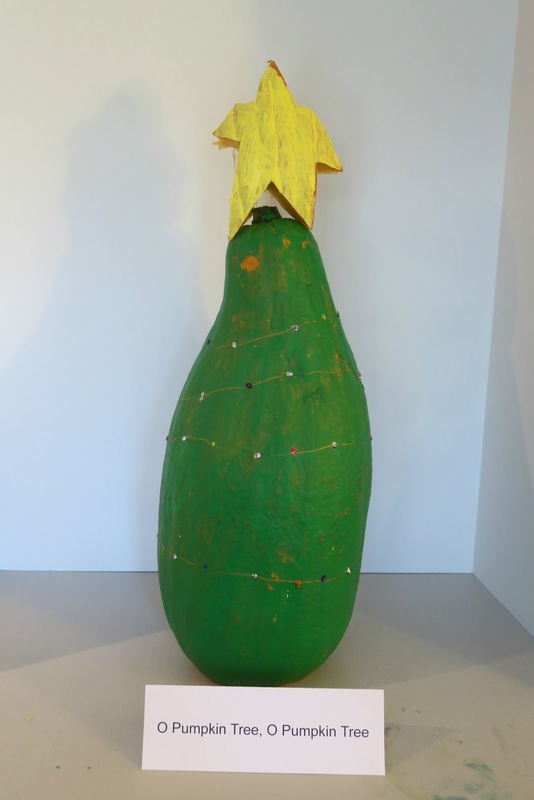 Trevor's entry, called "O Pumpkin Tree, O Pumpkin Tree" was Christmas-inspired too. Steve made this adorable Halloween ghost. My mom made a Halloween bat cave. My sister's mother-in-law also chose Halloween. She can't carve pumpkins anymore because of wrist injuries, so she made an awesome cross-stitch decoration ahead of time and poked it into the pumpkin. My sister was the only one to use Pearl Harbor Day. She turned a pumpkin into an oyster with a pearl. 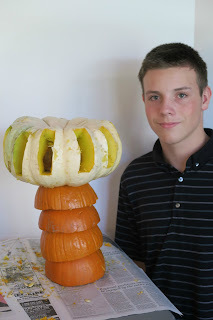 Timothy chose Arbor Day and turned multiple pumpkins into a palm tree! My dad didn't choose just one holiday! Instead, he incorporated all the holidays into this spinning creation. There are candles for each of Timothy's 16 birthdays, representing 304 holidays that he's celebrated since he was born in 2000. And now the winner. 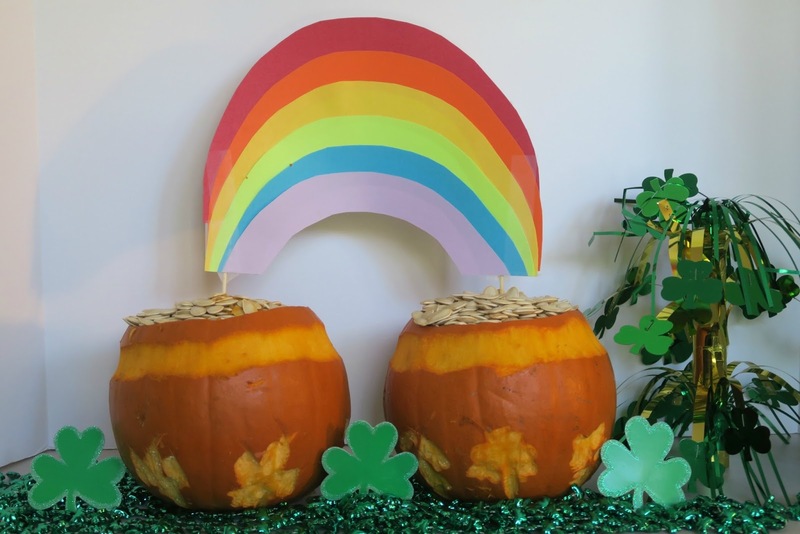 My brother-in-law, Brian, took top honors with his St. Patrick's Day homage. It's not official yet, but I think next year's contest won't have a theme, so anything goes! It's been quite a few years since I've won the trophy. Any ideas that will get me the win next year? It's never too early to start planning! Wow, all of those are great. 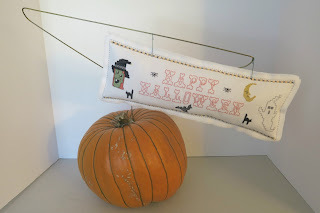 I especially love the spinning pumpkin with all the holidays. What a fun family tradition! Such a creative family! 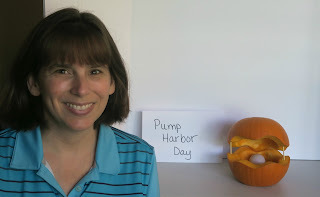 You have to go elaborate to win...Julie has some nice ideas!